Travel Nurse Job. You Can Keep Growing. 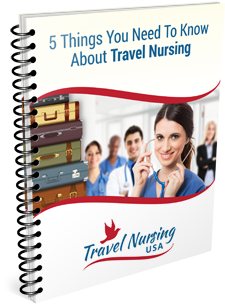 While on a travel assignment Jane Milliner RN wrote a 30-page training manual entitled: Nursing Radiation Guide, a Manual for Radiation/Oncology Nurses. A Fastaff traveler and experienced hospital nurse she’d been assigned to the Bronx based Montefiore Medical Center where she worked at the hospital’s Cancer Center in the Radiation/Oncology Department from July 2013 to February 2014. During travel nurse job orientation Milliner had three mentors each one with a different teaching style; orienters who didn’t use handouts or other teaching tools. To meet this lack of continuity Milliner said she took good notes as mentors outlined her job duties and how she was to approach her job role. After completing orientation and working as a nurse new to the department she realized, except for her notes, she wasn’t advised very well about different departmental processes that were pertinent to her duties, such as procedures she was to assist with and other tasks she’d learned about while on-the-job. Aware RNs working in the department were either retiring or moving on to work elsewhere, Milliner realized new nurses needed a guide that would inform them about caring for oncology patients. “In my Guide I included procedures I knew I needed to be aware of to do my job to the best of my abilities,” she said. In addition to a review of radiation procedures the Guide also includes procedures (from A to Z) geared for OB/GYN patients. “The Guide’s purpose is to present information about radiation/oncology nurse duties, responsibilities and job expectations, and it’s organized to provide enough information to give nurses a quick turnaround to become operational in their job role,” Milliner said. 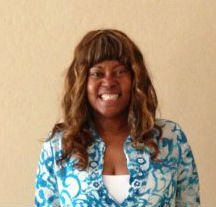 Milliner continues to travel with the Fastaff Travel Nursing Company and presently has a travel nurse job at a California hospital where she’s caring for a patient who is getting both chemotherapy and radiation therapy. Maintaining good working relationships when assigned to different hospitals across the country requires nurses to be professional, Milliner advised. “Stay out of hospital politics, avoid gossip and the need to give your opinion about hospital policies and procedures,” she said. “It’s best to go into work with a positive attitude and complete the assignment you were given. Once you’ve established trust among your peers that you’re qualified and can keep up with the pace on the unit, then staff will respect you and eventually you may develop friendships,” she added.